Mittleman Brothers recently released its Q3 investor letter (you can download a copy here), discussing its investment thesis on Revlon Inc (NYSE:REV) and other companies. We have already covered the fund’s viewpoint about International Game Technology. 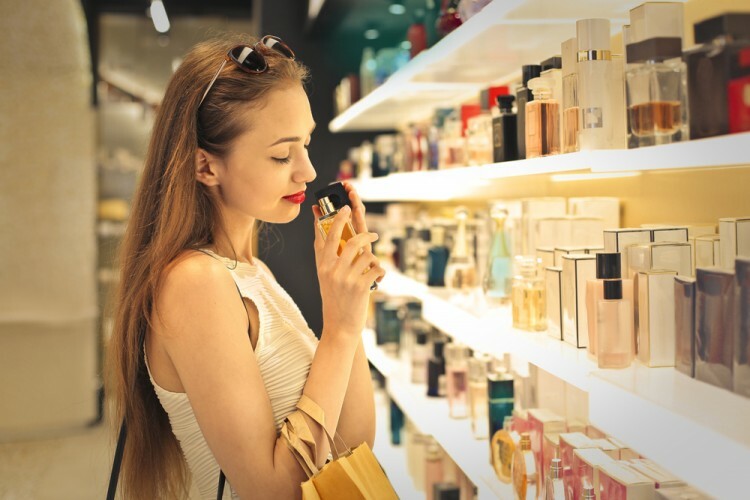 In this article, we will take a look at what Mittleman Investment Management said about Revlon, a $1.1-billion market cap company engaged in the business of cosmetics, skin care, fragrance, and personal care. Revlon (REV), our largest position, closed up just slightly in Q3, but only after some fairly intense volatility which saw the stock drop from $23.70 on 6/30 to $15.60 (-34%) on 8/4, then rebound to $27.90 (+79%) on 9/28, before settling back at $24.55, up 4% on the quarter. The stock hit its low for the quarter on the day of its Q2 earning report, 8/4, which was another disappointing result, with ongoing weakness in their U.S. mass market sales (about 30% of total company sales) for color cosmetics. We continue to feel that the weakness in Revlon’s North American consumer sales will prove transitory, and appears to be in the process of moderating as Nielsen scan data for September shows Revlon sales down at a much reduced rate, while Coty’s sales (Cover Girl, Rimmel) declined at a significantly worse rate. Revlon’s international sales (about 50% of total company sales) remain strong. Revlon’s new product launches for their Almay unit, along with revamped branding, appear to be gaining some traction, and similar refreshes for their Elizabeth Arden and Revlon units are planned to roll out soon. We bought more stock on the weakness, and noticed that we were not alone. Revlon’s controlling shareholder, Ron Perelman, aggressively acquired more stock in Revlon during Q3, increasing his stake from 81.9% at the end of Q2, to 84.65% at the end of Q3, an increase of about 1.45M shares. That was in addition to the 2.44M shares he bought from May 8th through June 20th, as we noted in our Q2 Investment Review. This nearly relentless buying on Perelman’s part prompted us to file a 13D once we exceeded the 5% ownership threshold in August to express our concerns to Revlon’s Board of Directors about Perelman’s ultimate intent with regard to minority shareholders. We asked the Board for a 5-year standstill agreement or a poison pill to limit Perelman to less than 90% of the shares (the threshold for a short-form merger, which requires no shareholder vote and likely no premium). What was granted was a 1-year pseudo-standstill agreement which offers thin protection to minority shareholders. Suffice it to say that we cannot imagine Revlon selling for less than 2x sales in a private market transaction, and that’s $50. Revlon’s main competitor, Coty (COTY $16.53), is trading at EV/sales multiple of 2.2x, and EV/EBITDA of 13x on calendar 2018 consensus estimates, despites performing materially worse than Revlon in the North American mass market channel year-to-date. Revlon at 2x sales would be $50, which would be a 14.7x EV/EBITDA on our estimate of $375M in adjusted EBITDA for 2018. As a frame of reference, when interest rates were much higher (implying valuations should have been lower), Johnson & Johnson (JNJ) paid 19x EBITDA (3.4x sales) for Neutrogena (NGNA) in 1994, and L’Oreal paid 14.7x EBITDA (2x sales) for Maybelline (MAY) in 1996. These examples highlight the potential upside achievable in Revlon’s shares if the company returns to growth after this year’s setback, and if minority shareholders are protected. We are highly confident in Revlon’s ability to achieve the former, and we are exploring all options with regard to ensuring the latter. A number of new initiatives are due out of Revlon in Q4 2017 and into Q1 2018: products launches, enhanced retail distribution (bigger space at Ulta beginning Q1 2018), and new ad campaigns from new ad agency, Grey Advertising, of WPP. Perelman’s aggressive open market stock purchases over the past few months at around $20 per share, taking his stake from 77.3% to 84.7%, support our contention that the stock is likely very cheap here. The last time Perelman bought a lot of Revlon stock was in 2009 when it was just over $5, and it closed that year at $17. Revlon Inc (NYSE:REV) is a New York City-based firm that makes and sells beauty and personal care products. With a market cap of $1.2 billion, the company operates through four segments: consumer ( which includes cosmetics, hair color and hair care, beauty tools, anti-perspirant deodorants, fragrances and skincare products); professional (which includes products sold to hair and nail salons, including hair color, shampoos, conditioners, styling products, nail polishes and nail enhancements); Elizabeth Arden brand (which produces skin care, color cosmetics and fragrances products); and other segment (which includes prestige, designer and celebrity fragrances, cosmetics and skincare products). For the third-quarter ended September 30, Revlon reported a loss of $32.4 million, compared to a loss of $4.7 million in the last year’s same quarter. Its adjusted loss was $19.9 million for the quarter, versus adjusted income of $32.9 million in the 2016. REV had net sales of $666.5 million in the third quarter, representing an increase of 10.2% compared to the last year’s same quarter. The performance of the company’s stock this year is in the red zone. Shares are down more than 26% year-to-date. Meanwhile, Revlon Inc (NYSE:REV) is also a popular stock among the hedge funds covered by Insider Monkey. Data shows that the stock was held by 19 funds at the end of the second quarter, including Profit Investment Management and K.J. Harrison & Partners.